Once upon a time, I was the proud owner of a Blackberry Pearl. (Don’t laugh) I was in a position at a previous employer to recommend the products the company purchased. Since at the time mobile e-mail was king, we ended up purchasing a fleet of Blackberry devices. That first smartphone impressed me so much that when I left the company I decided to buy one for myself. When I purchased the Pearl, I really thought I had found the perfect smartphone for me. Some days, I miss the feeling I had when I first got it…there’s nothing like the thrill of buying your next tech toy. This was right about the time the iPhone began to gain traction as an all touch screen smartphone that had a host of other features that a Blackberry couldn’t hope to match. As this inexorable shift in mobile technology began to take place (see my previous article here regarding the growth of the “prosumer” market segment) I heard about a new Android phone supposed to be coming to Verizon Wireless that had specs even better than the iPhone and comparable to those of a home PC from a few years ago – the HTC Incredible. After seeing some of the commercials and reading the reviews online, I was hooked and gave up my beloved BB Pearl to pre-order the Incredible. My first Android phone was a whole new experience…an all touch screen phone was something that made me truly realize where mobile phone tech was headed. At the time, I knew nothing about the Android development community and was much too afraid to “hack” my phone and try some of the things I’d read about other folks doing to their phones. But I always felt like there was something I was missing out on. So when the time came for the Incredible to go, and for a new phone choice to be made, I made a decision that would change much of the way I viewed my phone – I decided to hold out for a “developer phone” – the Galaxy Nexus from Samsung, also on Verizon Wireless. I had read that Nexus phones were among the first to get new releases of the Android OS, as well as having an unlockable boot loader and was able to be rooted (both terms at the time that didn’t hold much meaning for me). But it would allow me the option to learn and experiment and allow my knowledge of what Android could do to grow. This was my first foray into the land of rooting and the Android developers community. *Writers note: unlocking your phones boot loader will void your manufacturer’s warranty, so if you proceed, do so with caution and at your own risk. In its simplest terms, “rooting” an Android device is the ability to grant “Superuser” access to any application you choose. This would be the equivalent in the PC world of having “admin” rights to the PC. Install what you want! And if your phone offers the option of an unlockable boot loader (meaning you have the ability to overwrite even the operating system if you choose), you can do even more. You’re in complete control! The downside is of course, you also have the ability to royally screw up your phone beyond recovery (this is usually called bricking your phone). But I decided I wanted to learn as much as I could to make this process something that would work for me, and not against me. I made the decision to get a Galaxy Nexus for my wife and myself, and I dove into learning all I needed to know to unlock and root them both. The result has been a very rewarding journey that sometimes borders on an unhealthy obsession. Initially, learning the process of accomplishing both of these was challenging, but the more time I spent on it the easier it became. And now, there are multiple tools available to allow even the novice Android user the ability to unlock and root their phone. A few button clicks is all it takes and one has opened the door to a world of wonders. Unlocking the boot loader combined with rooting the device has given me the flexibility to be able to control virtually every facet of my phone. I have installed a tool to help back up my phone in the event of anything going wrong. I have installed custom ROMs (basically a customized version of Android that has been modified by a developer group to do things that the stock Android doesn’t do) over and over again to gain access to new features. I’ve also installed a custom kernel (the software governing battery usage) to improve battery life and overall performance. Even small things like changing the icons of the phones applications and modifying the display to rotate the icons as if they were on a 3D cube are all made possible by being able to unlock and root the phone. What time I spent in learning how to do these things has resulted in my ability to make any changes I want to the software of my phone. This knowledge has given me the satisfaction of making the phone do what I want it to do. One of the developer groups making custom ROMs is known as “Team BAMF” and their motto is “Make It Your Phone.” This can truly be done by any owner of an Android phone, with a little time and effort. And it’s time and effort well spent. In a surprising turn, Tim Cook, the latest Apple CEO, has posted a public apology of sorts on Apple’s website regarding the newest iOS 6 release of a home grown Maps app. Already sporting well documented issues with misdirection, poor 3-D rendering, and strange visual anomalies, the iOS Maps app has been a black eye for Apple’s latest software release. Much like the so-called “grip of death” issues with past iPhone releases, its not generally Apple’s way to make a product available that has such obvious flaws. But its also not really their way to give away free bumpers or make public apology statements either, so perhaps this marks a change in mindset for the Cupertino, CA based company. Hey…a little humility never hurt anyone. 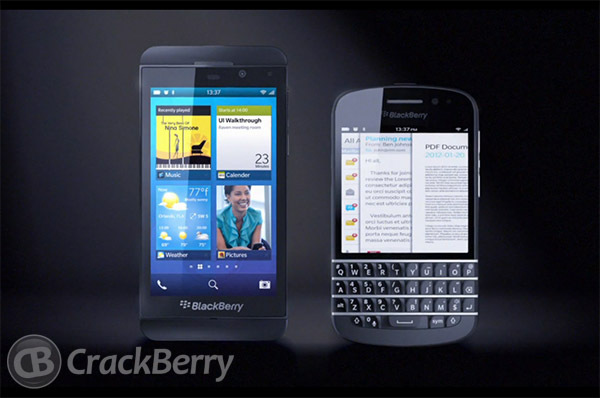 *source: Droid Life, Apple Inc.
[Op-Ed] Can Blackberry 10 change the fate of RIM? RIM (Research in Motion) the company that makes the Blackberry line of products, is truly a giant who has fallen from grace. The Canadian based company has faced a much changed smartphone landscape from a decade ago when Blackberry was king of the hill. There was a time when the term “smartphone” was synonymous with a Blackberry. You could hardly walk down the street or breeze into a business meeting without seeing someone on their Blackberry. Now, Apple and Samsung are the giants of the smartphone industry and RIM is almost an afterthought in a field they used to dominate. As of the 1st quarter 2012, RIM trailed Apple, Samsung, HTC, Motorola, and LG in terms of market share by manufacturer. Read that again…RIM is behind even LG! How did such a drastic turn of events come about? Many things can be said…complacency, reliance on the government/business model to support their sales revenue, poorer quality products, failed attempts at innovation (*cough-BB Storm-cough*), and even a shift in the paradigm of the smartphone market itself. Companies like Apple made it “cool” to own a smartphone, as long that smartphone was their product. Thus, the rise of the “prosumer” market segment was born, and the beginning of the decline of RIM. Other companies playing catch-up for so long not only caught up, but surpassed what RIM was doing. This has resulted in a dramatic financial impact to the company – RIM posted a $235 million 2nd quarter 2012 loss, or about 45 cents a share. If you exclude restructuring costs its actually only (only?) $142 million, representing about 27 cents a share…which was actually above what analysts had been predicting (about a 46 cents a share loss) *source: CNET.com. Could the owners of a business really call this a victory? Especially when the CEO also expects these losses to continue through the 3rd quarter as well. But earlier this week, RIM hosted an event for media outlets and developers alike to debut what they hope will be the product that pushes them back up to at or near the top of the smartphone heap – the Blackberry 10 OS. A while ago, Blackberry acquired QNX Software Systems in order to help them further develop their GUI operating system, primarily for their tablet OS but with an end goal of having it on all their mobile devices. This has culminated in the BB10 platform for their smartphones. While only the BB Dev Alpha B hardware device was shown during the event, the rumor is there are plans to also have it running on a traditional Blackberry style device with a full QWERTY keyboard as well. The mock ups pictured below could well be the devices that RIM are betting the farm on. Its going to be tough for buyers to get their hands on them though, since RIM also announced at the event that no BB 10 phones will be unveiled in 2012. Perhaps they didn’t want to compete with other smartphones scheduled for a holiday launch or perhaps the BB10 product just isn’t ready for prime time yet, but either way, folks who are eager to see what RIM has cooked up will have to wait a little while longer for it. What was shown was an end user experience that still caters largely to those in a corporate environment, but fleshes out the personal side of the product as well. Some of the features that long time Blackberry users enjoy have made their way here (BB pin messaging, an integrated inbox for all messages, now including social media) as well as some new goodies that RIM is hoping will wow users looking for something other than an iOS or Android experience. BB10 has some Windows 8 feel as well, but the overall experience is something truly unique. Features like the appropriately titled “Peak” (the ability to access new incoming messages with a two stage swipe gesture) and the Blackberry Hub (the central location to access some or all of your incoming messages) are features that will no doubt draw some folks, likely former Blackberry users, in for a closer look. Even the ability to have “work” and “home” sides of the device, governed by separate IT policies, will no doubt be a huge draw for some segments of the established IT workforce. Will it be enough to bring back the thousands and thousands of defectors who left for iPhones or Galaxy S2s? That remains to be seen…and is even harder to predict when the actual finished product (both in terms of software and hardware) are months away from being shown off again. Even so, its not all doom and gloom just yet for RIM. The company did add 2 million subscribers in the second quarter, mostly in emerging markets however, which results in lower profit margins on their lower cost products. The company reportedly shipped a little more than 7 million phones which isn’t a terrible number. More bad news regarding their tablet segment though, which shipped a paltry 130,000 Playbook devices during the same time period. So there is certainly room for growth here, if BB10 can morph into the finished version of itself sooner rather than later. How much growth? From where I’m sitting, and as a former Blackberry user myself, it seems a lot like too little-too late. On September 5th Motorola announced their newest flagship phones the Droid Razr HD and the Droid Razr MAXX HD (along with the mid-level Droid Razr M). Both have a dual-core S4 processor with an Adreno 225 GPU, a pentile matrix 4.7″ 720p HD display (you can find my feelings on pentile matrix screens here), on-screen buttons, a kevlar back plate, 1 GB of ram, 32GB of internal storage, an SD card slot, and an 8MP camera. The only difference between the two is the capacity of the battery (2500mah for the HD, 3300mah for the MAXX) and a very slight bump in thickness for the MAXX (9.4mm vs. 8.4mm). Motorola didn’t announce a release date and simply said both phones “will be out before the holidays.” As I sat at my computer watching the press conference all I could think was what is Motorola doing? Neither phone is bad per se, but rather 6 months or so late to the party. The HTC One X sports the same processor, a better screen, the same 1GB of ram, a better camera and was released back in May. Ditto for the Samsung Galaxy S III except it has a pentile matrix screen similar to the Razr HD and an extra 1GB of ram. It was released in June. In essence Motorola announced flagship phones that were at best equal to what the competition had released 5-6 months earlier. Motorola seems to be hanging its hat on larger battery capacity being the most important factor to buyers. While this is indeed one of the most important factors for potential buyers, the days of LTE phones draining a battery in 4-6 hours like the HTC Thunderbolt are long gone. The introduction of the 28nm Krait S4 processor with an integrated LTE modem on board has lead to a massive increase in battery life. The One X and Galaxy S III both have no problem making it through a day of normal use. Even if Motorola is aiming for the battery conscious buyer, why introduce both the Razr HD and the Razr MAXX HD? The difference in thickness between the two is less than 1mm and most consumers probably wouldn’t even notice. Given the significant difference in capacity why would anyone opt for the Razr HD? Is this enough of a difference to justify two separate models? The only reason I can think of is price. My guess is that Verizon prices the Razr HD at $199.99 and the Razr MAXX HD at $299.99 on contract. Why anyone would pay that for either when they could pick up a Galaxy S III for $149.99 or an iPhone 5 for $199.99 is completely beyond me. That’s not even taking into consideration options like the Galaxy Nexus for $49.99 or the forthcoming slew of amazing phones that will be out before the end of the year on Verizon including the Samsung Galaxy Note 2 ($299.99), the HTC Droid Incredible X ($199.99 or $299.99), and the LG Optimus G ($199.99) all of which feature superior specifications including quad-core processors, 1.5-2GB of ram and true RGB 720p or 1080p screens. Motorola doesn’t make bad products, but they also don’t make compelling ones. Their history with consumers isn’t great and they have some ground to make up in the reputation department (a topic for a separate article). Their phones are solid and feature nice materials but they are constantly behind the competition in key areas like screen quality, ram, and especially cameras. Packing huge batteries into their phones is novel, but isn’t enough to battle the big boys. The competition is fierce and releasing yesterday’s flagship at today’s price isn’t the way back to profitability. [Op-Ed]HTC is back to making great phones, so why are they still struggling? HTC ruled Android phones in 2010. They started the year off by releasing the Nexus One and then followed that up by releasing the Droid Incredible on Verizon in April and the Evo 4G on Sprint in June. The Droid Incredible and Evo 4G in particular received significant advertising support from their respective carriers and were massive hits. It seemed like HTC could do no wrong and the record profits they turned in seemingly every quarter reinforced this notion. Then 2011 came around and HTC’s fortunes changed dramatically. HTC starting falling behind the competition in a number of crucial areas. Performance benchmark scores, battery life, reliability and stability all seemed to lag behind the competition. The proprietary skin HTC put on Android called “Sense” was continually getting more system intensive and started negatively impacting the speed of the devices it was on. On top of all that, Samsung released the Galaxy S II and dramatically raised the bar for Android hardware. Looking back at the phones HTC released in 2011 it’s hard to say that any of them were terrible. However almost all of them could be described as underwhelming. The Thunderbolt, Sensation, Sensation XE, EVO 3D, Vivid and mid-range models like the Incredible 2 and female targeted Rhyme all seemed to fade away quickly and quietly (or in the case of the Thunderbolt maybe not so quietly). Reviewers liked the phones, but complained about bad battery life and noted how HTC had fallen behind in screen quality. They tried differentiating their phones by adding features like Beats Audio, but features like Beats didn’t seem to resonate with consumers. The HTC design aesthetic had also grown stale. Their phones were virtually indistinguishable from one another and were heavier and thicker than the competition. Can you tell the difference between these three completely separate models on completely different carriers? At the end of the 2011 HTC released the Rezound on Verizon. The Rezound got lost under the massive hype of the Galaxy Nexus and the massive marketing behind the Droid Razr, but was an excellent phone in its own right. It had the best screen and camera of the trio and also had an SD card slot the others lacked. The battery life was at least equivalent despite having the lowest capacity. HTC also gave users the ability to unlock the bootloader through their development site. The phone was still quite a bit thicker than the others, but it was definitely a step in the right direction. As 2012 rang in, how would HTC respond to the rise of Samsung and their own sagging market share? The answer came with the announcement of the HTC One line at the Mobile World Congress in February. HTC announced a trio of new smartphones: the low-range One V, the mid-range One S, and the flagship One X. The One S and One X were stunners. The One S had a super thin body (7.9mm! ), a dual-core Krait S4 processor, and a 4.3″ qHD Super AMOLED screen. The One X featured a super thin (8.9mm) Polycarbonate Unibody with a 4.7″ RGB Super LCD 2 screen, a quad-core Tegra 3 processor (dual-core Krait S4 in the U.S.), and 1GB of ram. Both phones also featured a dedicated camera chip called ImageChip that HTC claimed greatly improved image quality. Finally, both phones featured the newest version of Sense (4.0) which was much less of a resource hog and a generally “thinner” skin. The designs were a huge departure from what HTC had been doing and both were gorgeous. Almost a year later the One X is still one of the best looking phones on the market. 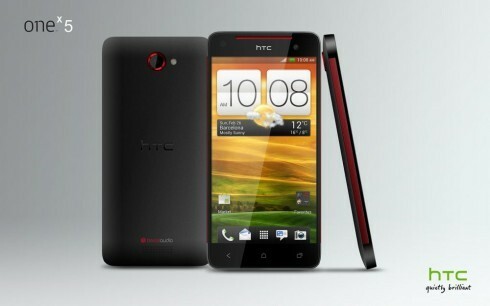 So, HTC learned its lessons from 2011, introduced fantastic products for 2012 and triumphed, right? Well, not quite. T-Mobile got the One S in April. The One X was released by AT&T on May 6, 2012. Verizon passed on the One X and eventually got a heavily modified One S variant called the Droid Incredible 4G LTE in July. 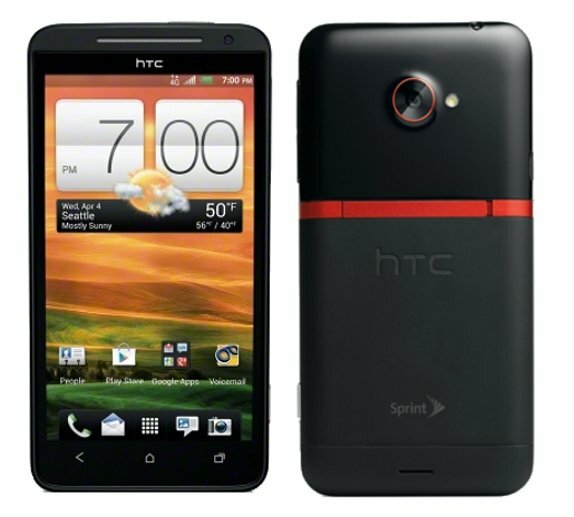 Sprint got a heavily reworked version of the One X that they called the Evo 4G LTE in June. The Evo 4G LTE variant added in an SD card slot, a removable battery, and a lot of questionable design choices. They took one of the most beautiful phones on the market and gave it a bizarre two tone gloss/matte backing with a red kickstand in the middle. While all these different variants were slowly trickling out, Samsung unleashed the Galaxy S III on May 3rd. A single version of the GSIII was released on all major carriers on June 21st and it has sold over 20 million units worldwide. Meanwhile the One series has been a sales disappointment and is now getting price drops to move inventory. Obviously the Galaxy S III was a major improvement over the One X and that’s the reason it was so much more successful, right? Well, actually no. Both screens are 720p, but the RGB Super LCD-2 unit on the One X is superior to the 720p pentile Super AMOLED unit on the GSIII. The cameras are both 8mp and are pretty equivalent. Battery life is similar. The GSIII has an SD card slot and a removable battery, neither of which the One X has. 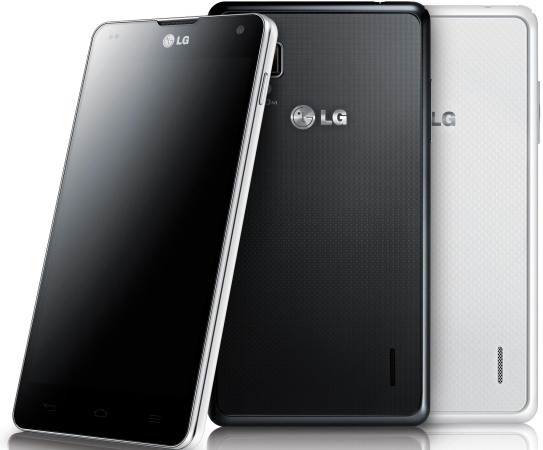 The GSIII also has 2GB of ram while the One X has 1GB. The dimensions are similar. From a materials perspective the One X makes the GSIII feel and look cheap. Both phones are excellent products and choosing between them could easily come down to user preference. So why has the One series disappointed while the Galaxy S III soared? Distribution. Samsung was able to get all the carriers to release an identical product a month and a half after it was announced. HTC announced the One series in February and it took them 5 months to get something on every carrier. The only stock variants of One series phones on U.S. carriers are the One X on AT&T and the One S on T-Mobile. Verizon and Sprint got heavily messaged variants that were both inferior to the design they were based off of. The One X is a fantastic phone and it’s a shame it only made it to one carrier intact. Under different circumstances it could have (and probably should have) been a massive hit. Over the next couple months it looks like HTC will unleash a One X + (featuring a quad-core Tegra 3+ processor) and a 5″ 1080p quad-core monster that may or may not end up being a Nexus phone. Going forward HTC needs to handle releases like Samsung (and Apple) does. Get one version of their phone released on all carriers within a month or two of announcing it. 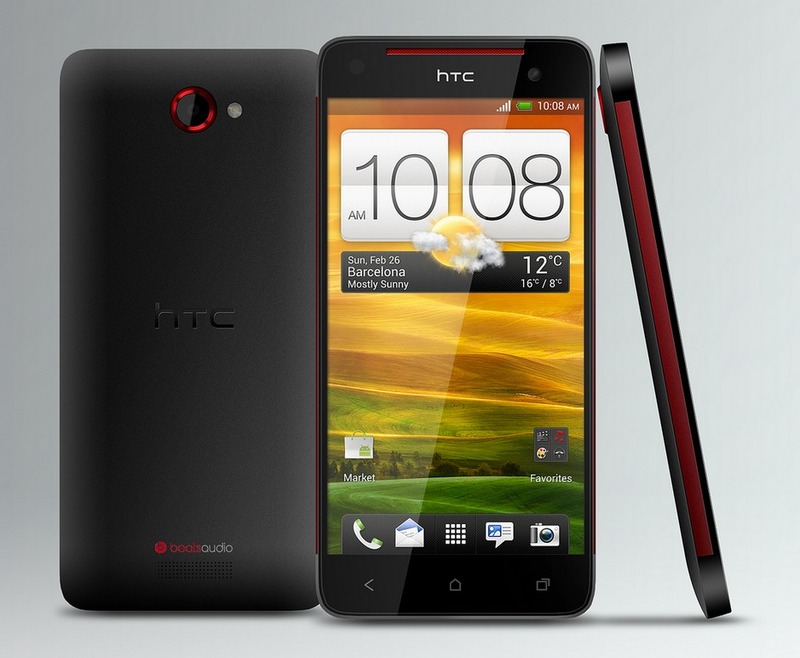 If consumers get to compare the new HTC phones against other Android handsets, I believe they compare favorably. Consumers will buy great products given the chance, and HTC is back to making great products. Like clockwork the new iPhone 5 was announced and the naysayers came out in force. Where’s the innovation they asked? A 4″ screen – welcome to 2010. An LTE modem – welcome to 2011. Only 1GB of ram? No NFC? How can anyone possibly consider the iPhone 5 to be anything other than an incremental upgrade? While some of these points are valid, to say the iPhone 5 is anything but one of the top 3 smartphones on the market using any criteria is ridiculous. It has a brand new cutting edge A6 CPU. It has three PowerVR SGX543 GPU cores. It has one of the absolute highest quality screens in the business and is the first phone available with in-screen touch sensor technology . It gets excellent battery life, has a fantastic camera, and is built from premium materials (something Samsung could learn from). By the way, it’s also one of the thinnest and lightest smartphones currently in existence. I had a chance to use an iPhone 5 on launch day and came away impressed. It’s an excellent phone and I wouldn’t hesitate to recommend it. What it isn’t is the unquestionable best smartphone on the market anymore. From the time the first iPhone was launched in 2007 through the iPhone 4 in 2010 the iPhone was the best smartphone on the market and everything else was playing catch up. Sure some of the Android phones were great, but as an overall package the iPhone was better. Part of this was due to software, but the hardware was also behind. Whatever the newest iPhone was had the best CPU, the best GPU, the best camera, and the best screen. Then a funny thing happened. Between the release of the iPhone 4 and the 4S the Android manufacturers started to close the gap. The Samsung Galaxy S II was the first Android phone that felt like it was every bit the equal of the top iPhone at the time. It had a beautiful Super AMOLED Plus screen, a fantastic camera, a cutting edge CPU and GPU and was also quite a bit thinner than the iPhone 4. When the iPhone 4S was announced in October of 2011 the general reaction was disappointment. It didn’t have LTE (something Android phones had since March of 2011) and looked identical to the iPhone 4. It moved to a dual-core processor, but Android phones had been dual-core for almost a year by this point. It still had the best GPU of any phone on the market, but again the gap had been closed by phones like the Galaxy S II. By the end of 2011 multiple Android smartphones had 720p screens, dual-core processors, state of the art GPU’s, more ram, removable batteries, sd card slots for expandable storage and LTE. The iPhone 4S lacked many of these features and was no longer the undisputed leader of the smartphone market. In many ways Apple is a victim of its own success. The iPhone was years ahead of the curve, but it was inevitable that other manufacturers would catch up. Over the last couple years that’s exactly what’s happened. The backlash against the iPhone 5 stems from the fact that most people still think it’s light years ahead of the competition when that’s no longer the case. In fact, in a lot of ways the iPhone 5 was catching up to the current crop of Android flagships. Does that mean that the iPhone 5 is no longer one of the best phones on the market? The answer is clearly no. The iPhone 5 is an absolutely fantastic device and still one of the top phones available. But the fact that it is one of the best, and not the best, is a relatively huge shift in the industry. Apple has forced all the other manufacturers to step up and produce better phones, and the other companies have responded. Now Apple needs to step it up with the iPhone 5S if they want to be the undisputed king again. I look forward to seeing what they come up with. I’ve been using a Motorola Droid X on Verizon as my primary phone since July of 2010. Its been a great phone, but its locked bootloader makes flashing custom kernals impossible and running custom roms an inconvenience. When rumors of a Samsung made Verizon Nexus phone started floating around at the end of last year I followed them with great interest. I had read all the fantastic reviews the Galaxy S II had received and when Verizon passed on it the only logical reason was because a Samsung made Google flagship was on the way (or because Verizon felt like screwing their loyal customers yet again, but I digress). I was positive the Galaxy Nexus would be my next phone. When the phone was announced it checked off the flagship phone feature boxes one by one. The Galaxy Nexus had an OMAP 4460 dual-core processor, an overclocked PowerVR SGX540 GPU, 1GB of ram and a 4.65″ Super Amoled 720p screen. Flagship specs by any definition, and yet I couldn’t help but be disappointed. So, the Galaxy Nexus was released and I passed on it. Pentile matrix screens bother my eyes and since I spend the majority of the time on my phone using the screen, it was an easy decision. As 2012 progressed we saw the release of a new generation of flagship phones starting with the HTC One X. The One X has a Super LCD-2 720p RGB screen. To my eyes it is one of the best looking, if not the best looking, screens on the market. It would probably have been my next phone if not for Verizon passing on it. 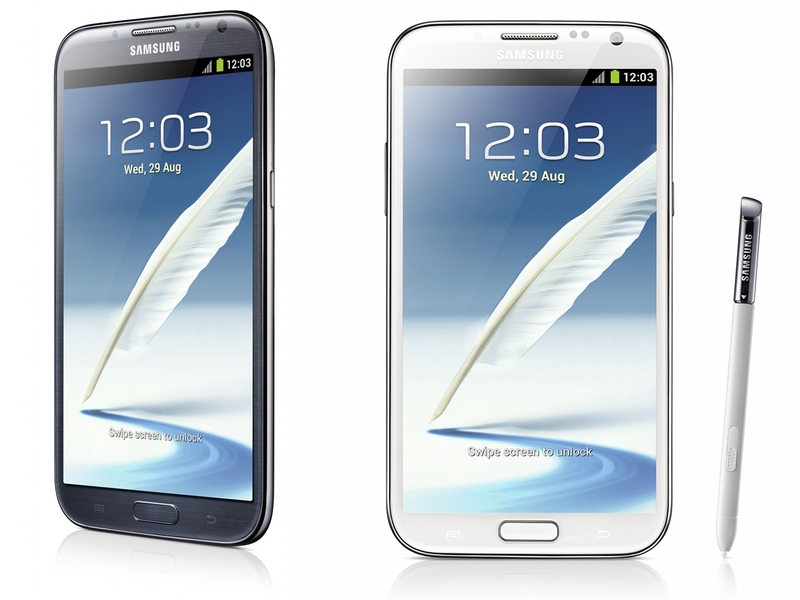 The next Android flagship phone to be released was the Samsung Galaxy S III. The rumor mill pointed to a 720p Super AMOLED Plus RGB screen. Once again I was sure this would be my next phone. Announcement time came and again disappointment. The Galaxy S III also had a pentile matrix Super AMOLED screen. I passed on it. 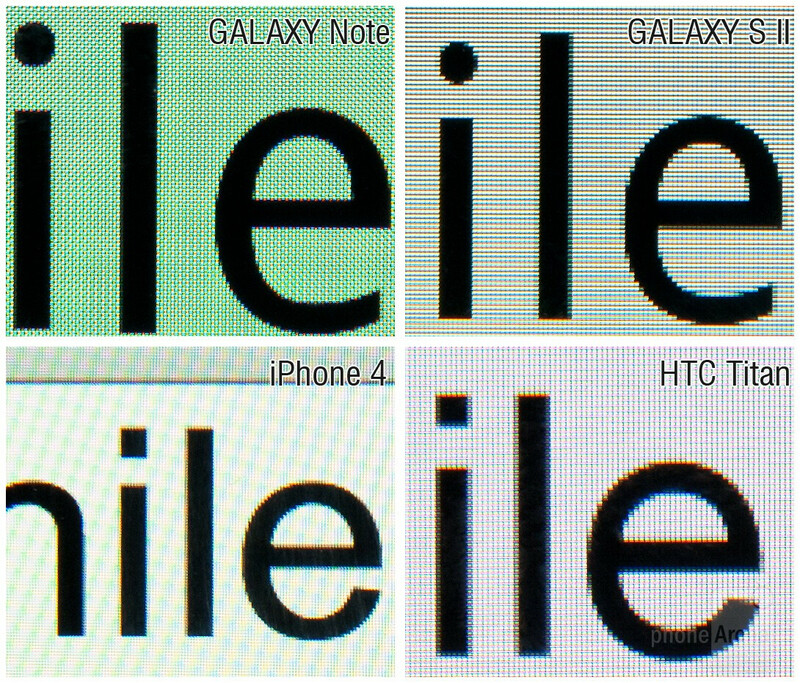 No flagship phone on any platform should have a pentile matrix screen. It’s simply not as good. No iPhone has ever had a pentile screen. The Windows phone flagships Lumia 900 and 920 both have excellent RGB LCD screens. In fact, the only two companies still producing pentile matrix flagship phones are Motorola and Samsung. Samsung explained they used pentile matrix screens for technical reasons. They said that blue subpixels in Super Amoled screens burn out faster than the red and green subpixels. 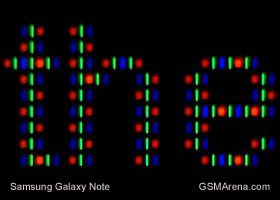 Of course, this didn’t stop them from using an excellent true RGB Super AMOLED Plus screen on the Galaxy S II. The excuse thus rings hollow. Motorola has offered no such explanation, so one can only assume it’s a cost saving measure. Some will argue I’m being overly picky. Some will argue that pentile matrix screens, especially high resolution ones, look fine. They’re right. They do look fine and many users probably would be satisfied with the quality. But a flagship phone should look better than fine. If you put a pentile matrix screen up against a true RGB screen the difference is absolutely noticeable during typical use. This is unacceptable. 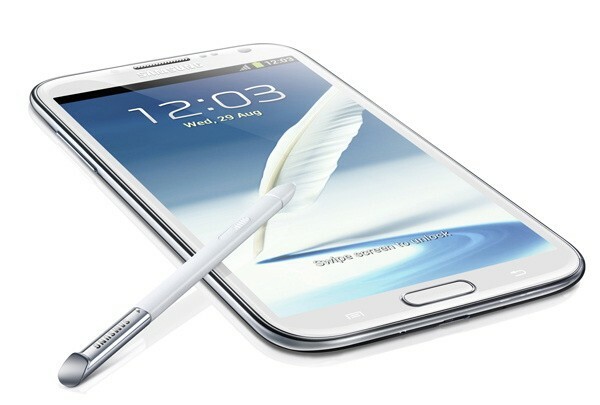 About a month ago Samsung announced the Galaxy Note 2, their next flagship phone. I barely paid attention because they announced the screen would be yet another Super AMOLED (not Plus) screen. Everyone assumed this meant pentile. I was thrilled to find out that this was not the case. 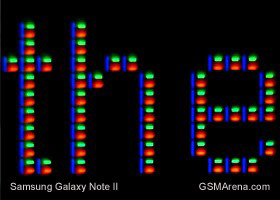 Although the arrangement of the subpixels on the Note 2 is atypical, it is a true RGB screen. Samsung has finally relegated pentile screens to the past where they belong. Hopefully Motorola follows suit. I am happily buying a Note 2 the day it’s released. The flagship phone from Samsung finally has the screen it and every other flagship deserves – a true RGB matrix. As of this morning, there are reports that some users of the LTE Galaxy Nexus are receiving an OTA update of their phones from Ice Cream Sandwich (Android 4.0) to Jelly Bean (Android 4.1.1), labeled as version JRO03O. If you are one of the (likely) very few non-rooted, non-custom ROM users, this may be significant news to you. With the addition of Google NOW, and a host of speed and smoothness enhancements, Jelly Bean is the best version of Android yet. So if you’re stock, keep checking that “system update” button. If you aren’t stock, and want to see what all the fuss is about….well, you’ll have to flash back to stock ICS, and then wait for the update from there to get the goods. If you’re like me (rooted and custom ROM) you’ll probably just yawn and move along. So there you go! There is a lot of debate over what mobile operating system is the best. And what does that mean really….to be the best? What it means to me is pretty simple – can it do what I want it to do, when I want it to do it. For my money, that’s Android all the way. Other folks will say iOS does anything and everything they need it to do. And respectfully, I disagree. The reason is the very dividing line of the debate itself – whether or not open source software is superior to its closed source counterparts. I vote yes. Here’s why. The concept of open source software is simple in theory, and slightly more complicated in practice. You’ll hear open source detractors throw the dangers of fragmentation into the mix. And while fragmentation is a real concern, these naysayers miss the whole point behind open source – the freedom for developers to take the code and make changes, maybe even improvements over the original code. This is the core of the power and flexibility of open source software. The strength of this fact far out weighs any potential downside of fragmentation (or other) concerns. When your software code base is open, then it allows for the possibility of improvement over the original. It says to the developing community at large “we believe that you have something of value to contribute to our product, and we welcome your input.” That community then can do as they please to tweak or change the code base as they see fit. This drives forward the innovation of the product, leading to an improved product for everyone. Innovation, REAL innovation, is a collaborative process – first, last, and always. You cannot declare yourself an innovator if your perspective is that you won’t allow any outside influences access to your product, in this case the code for an operating system. What if someone else out there has an idea that could really be a game changer to your source? You are missing out on ideas, the very seeds of innovation themselves. Open source has this advantage over closed source, without question. Once you can change a thing, you can control a thing. This allows for true customization of the end user experience – to make it the way you want it. And with an open source product, you can experience what true control really is…everything from the kernel running the battery to the entire OS itself in the form of a custom ROM can be managed and tweaked and changed. No longer are people stuck with whatever the carrier or manufacturer decides they should have – you have the power to do as you wish with the software (provided you have an unlocked boot loader and don’t mind voiding your warranty of course) to make it better. And this doesn’t even take into account more cosmetic changes, such as widgets, custom icons, and overall themes. Everything is put in the control of the end user. With a little bit of reading and patience and follow-these-instructions, everything is open to the user to make it what they choose. What this really ends up being is fun. You get to have fun making your phone the way YOU want it. I can spend hours tweaking, modding, and customizing my phone because I get the choice to. Apple or RIM or Microsoft don’t get to tell me what I can and can’t do with the product I paid for. And maybe, just maybe, if they took a little time to listen to what the developing community had to say, they might learn a few things to make their product better. Which might help their bottom line in the end. Make your product better and sell more units? Hurray for innovation!